An interesting little collection of tools happened yesterday. The original concept for this dining set was from NYC architect Gary Deam of Deam Design. He designed the apartment this project is for, incorporating a long built in banquette to anchor the dining area. I was asked to design and build the individual pieces. 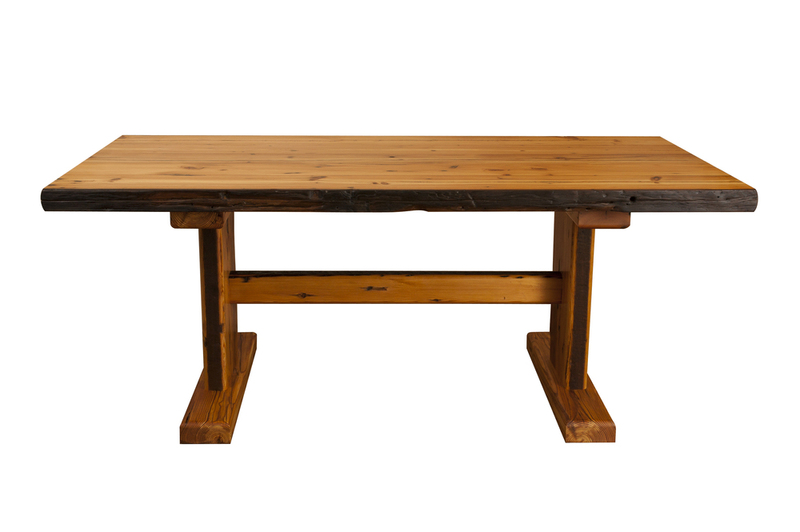 Trestle tables work best with banquettes, so that was my starting point. 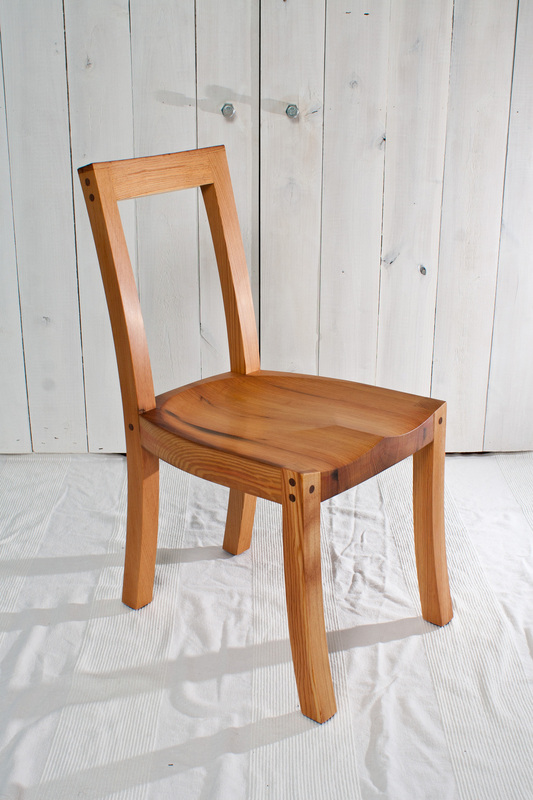 The chair design is a refinement of a chair that I have built a couple of times in the past. And the banquette was designed to have clean lines and comfortable geometry. Since the space was going to feel refined and comfortable, I wanted to introduce something bold and a little rugged as counterpoint. So I used reclaimed Heart Pine, with all its cracks, holes, and character. On certain surfaces I planned to keep the antique patina of the old beams. I'm going to do this next post as a little series to give a glimpse of the process (or lack thereof) behind what I do. Bear with me: I'll include pictures and try not to talk too much. A blog called The Online Photographer that I read regularly sometimes does something called Open Mike, where the post is something of interest and worth, but has nothing to do with the usual subject matter. I like the idea, and I wish it were mine. Alas. A few years ago, I was out for a night run and saw the building in the photo below. It was called the Charms Building. It was built as an Elks Lodge in 1914 and later occupied by the Charms Candy Company in the 40's. It's in Asbury Park, NJ (where I live) and had been slated for demolition. Apparently that had begun earlier in the day, but night had come too soon for the job to be completed. I cut my run short to go home and get my camera, and spent some time that night in 18° temps and 20+ mph winds to try and make a good photo. It's the second best photo I've made. The three pictured below are still available. They are available through my etsy store. I will be making small batches of these from time to time as my schedule allows. Of course, if enough people want to put in orders, I'll be happy to oblige. Many thanks to Richard Virgilio (of The B Plot blog and The Coaster Newspaper) for a lovely interview and article, which can be found online here. I usually don't use before-and-after shots but here I think it is fitting. Once upon a time there was a fireplace in a wall in a room. And it needed help. The design constraints were wide open, but the budget wasn't. It was a perfect opportunity to break out some discarded crates! A little industrial, rustic, modern wall treatment. The crates were made of poplar, so I cooked up some stain from old coffee that Asbury Park Roastery was throwing out. And since there was room inside the wall, who could resist building some hidden cabinetry as well? What do you do with old shipping crates?